Formal Learning Conversations or Interviews are an important element of our reporting process and build on partnerships with teachers, students and families to ensure successful learning. These conversations are occurring in all classes beginning next week. We invite all Parents and Caregivers to participate in these Learning Conversations. Interviews are about sharing information and strategies rather than just giving information. They are about understanding students’ strengths and weaknesses, setting goals and seeking a team approach to building learning success. Our mission is to create more opportunities for all students to develop the skills and dispositions to put their most focussed energy into their learning. As they get older, students are expected to more clearly articulate their learning needs and commitment to improvement. The next formal phase of our report process will be written reports at the end of term 2. 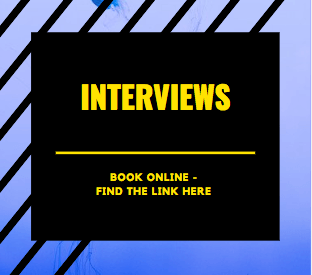 Please note that Interviews will be booked online once again this year. Go to www.schoolinterviews.com.au/code and follow these simple instructions. For parents that do not have internet access, please phone Kerri at the front desk on 8322 6422 and she can assign an interview time for you. Interviews are strictly 15 mins. If you require more time, please contact your teacher directly to make alternative arrangements.